George Wilson was an ordinary teenager walking home from a nightclub in Liverpool in the UK one winter night, when he happened to notice a homeless man on the street nearby. He approached and handed the man a £1 coin. But no sooner than he did that, a policeman appeared and claimed that Mr Wilson and the homeless man were engaging in a drug deal. One officer arrested Wilson and another dealt with the homeless man. 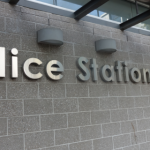 What happened next was completely inadvertent on the part of the officer, yet it would prove crucial for what followed; he confiscated the teen’s phone but accidentally set it to record, ensuring that the entire conversation was recorded. Wilson’s handcuffs were removed and he was told to leave – but he was very angry that police had misused their power, arrogantly assuming that they could get away with ignoring the law. Fortunately, his phone held proof that the officer was clearly in the wrong. Wilson brought a lawsuit against police, although the matter was later settled outside of court. Unfortunately, many police officers have no problem with fabricating evidence, even when under oath in court. But footage filmed on smart-phones can be used to expose those untruths and abuses of power by police. 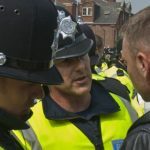 When dealing with police, even if they are rude and aggressive, try to stay calm and polite – and it’s a good idea to film the interaction so that you will have evidence of what actually occurred. It is not illegal to film or photograph police in public – although officers have been known to illegally grab people’s phones and claim that filming is an offence. The only time when it may be a problem is if you are ‘hindering them’; in other words, interfering with the exercise of their duties. Hindering police is an offence, so just make that when filming police, you are not preventing them from doing their job. If you’re with a friend, ask them to do the recording – that way, police can’t claim that you are hindering them. Who pays for police misconduct? Mr Wilson was offered £5,000 from the police department – although it is really the tax-payer who foots the bill. 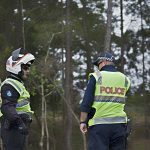 In Australia, police forces frequently offer financial settlements to avoid cases from going all the way to a court hearing where their actions can be exposed, and potentially reported in the media. Those settlements will almost invariably contain ‘non-disclosure clauses’ – preventing individuals from discussing the matter openly. 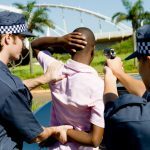 Police forces, or rather the taxpayer, spend millions of dollars every year paying compensation to those they have mistreated – including those they have falsely arrested, assaulted and even set-up. In these situations, it is the community that pays for police misconduct. But why shouldn’t corrupt and abusive officers be made to pay for their own illegal conduct, like the rest of us? Or at least contribute to payouts arising from their own misconduct? 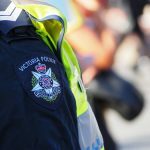 This would undoubtedly be fairer and might even deter shady officers from abusing their powers – but unfortunately, it doesn’t seem likely that this will happen in Australia anytime soon.